The wait is over! Poldark fans will be excited to learn that their favourite show returns to the small screen when season four of the series starts on ITV Choice (DStv 123) on August 1, 2018, at 20h00. 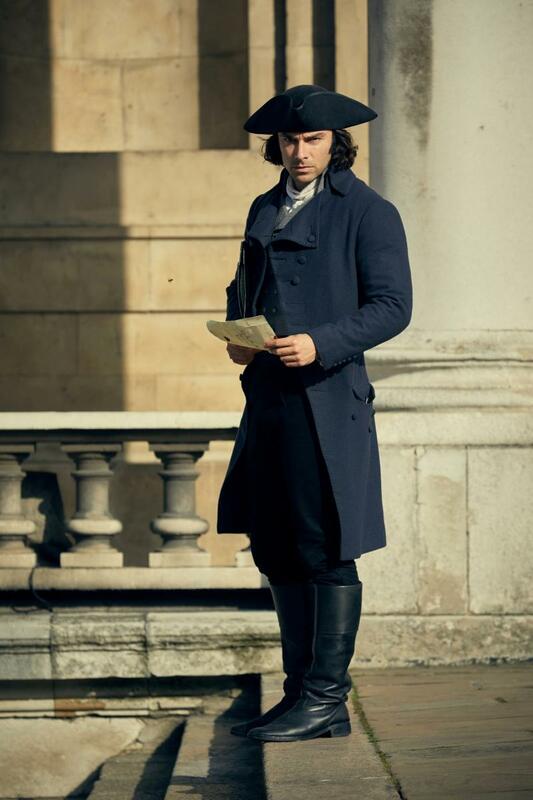 Once again starring Aidan Turner as Ross Poldark and Eleanor Tomlinson as his wife Demelza, the eight-part series was adapted by Debbie Horsfield from the novels by Winston Graham and filmed across Cornwall, the West Country and, for the first time, locations in London. Says Horsfield: "It's still very much Cornwall-based but there are so many characters and new flavours and one of those is London. There are whole sequences where we go to London and meet real characters, such as (the Prime Minister) William Pitt and (the anti-slavery campaigner) William Wilberforce. There are some wonderful affirming storylines and some utterly tragic ones coming up. It's going to be a treat for viewers." The new series kicks off in 1796 and finds Poldark defending Cornwall from an empowered George Warleggan (Jack Farthing) and risking everything he holds dear as he embarks on a political journey which takes him to the nation's capital. 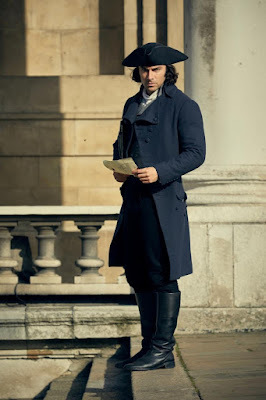 Meanwhile Demelza finds her loyalties torn, Elizabeth (Heida Reed) tries to strengthen her marriage, Morwenna (Ellise Chappell) continues to be oppressed by husband Reverend Ossie Whitworth (Christian Brassington) and the Enyses (Luke Norris and Gabriella Wilde) are tested as never before. Tholly Tregirls, the colourful piratical figure from Ross’ youth played by Sean Gilder, returns, as does Prudie (Beatie Edney), repulsive cleric Osborne Whitworth (Christian Brassington) and Hugh Armitage (Josh Whitehouse). There is also a new villain called Monk Adderley who, Horsfield says, is completely amoral but a vividly-drawn character that everyone will love to hate. But what about Poldark himself whose marriage, at the end of series three, was on the rocks? And does Poldark make a good politician? “You’re going to tell me when you see the speeches in the House of Commons!” says Turner, joking that there’s “not much room for the horse” in Captain Poldark’s new haunt. The actor seems confident that Poldark has found his new calling in the political sphere, though. “It’s where his passion lies, it’s what he’s interested in, and that’s where he needs to fight Warleggan, not in Cornwall any more but in the House of Commons. That’s where it’s at,” says Turner. And good news for fans is that the producers have confirmed that Poldark has been commissioned for a fifth series. The bad news is that it will very likely be the final series in the Poldark saga. Catch Poldark on ITV Choice (DStv 123) on August 1, at 20h00.